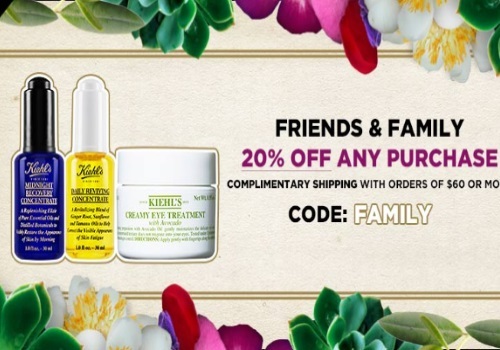 Kiehls has a Friends & Family Event on now! Save 20% off your entire purchase in-store and online with the promo code below! Enter the promo code FAMILY to get the discount. Offer is valid May 11-15, 2016. Shipping is free on orders of $60 or more.